Spice up the guest list at your next party by sending out personal Skating Party Invitations to each person you want to invite. 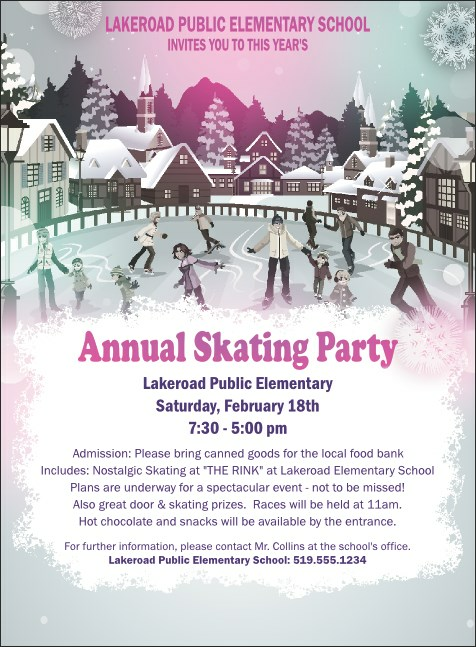 No one will want to miss the excitement when you include all your event details in bright pink and purple along with the snowy scene of the rink packed full of skaters gliding over the ice. Give your guests that warm fuzzy feeling with personal Invitations from TicketPrinting.com.